The ‘reflective sunshade’ for the skin. 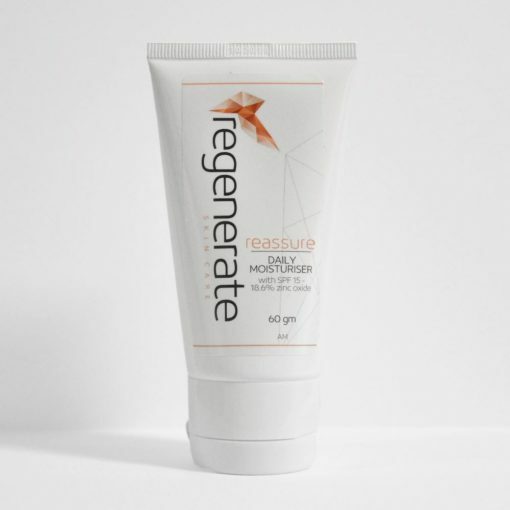 Reassure Daily Moisturiser is a daytime moisturiser with a ‘chemical free’ physical SPF. Providing broad spectrum coverage from harmful UVA & UVB rays. This lightweight non-greasy moisturiser gives all day sun protection. A high percentage 18.6% zinc oxide absorbs quickly into the skin without leaving a thick white residue. Without the proper protection, the sun can cause damage to your skin. The support structure is broken down by the sun and oxygen free radicals are formed within the layers. 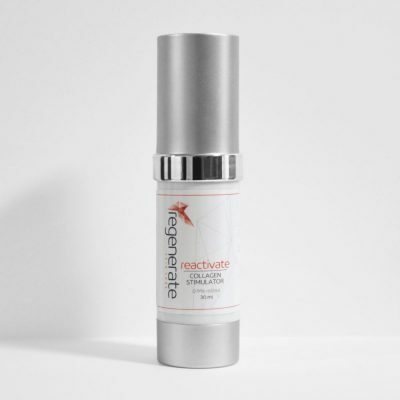 It is these free radicals that attack the skin’s collagen layers, breaking down the integrity, causing wrinkles and unwanted lines. Pigmentation can also occur, which adds years to your appearance. Prevention through protection is the key to keeping your skin looking youthful. You must minimise the free radical formation within your skin to keep it looking healthy and radiant. Our physical SPF ‘Chemical free’ moisturiser – Reassure Daily Moisturiser – will help you to protect your skin against these free radicals in order to help you maintain a youthful look.